"Where Leaders are Mentored, Motivated, and Equipped to Succeed". Welcome to Sugar Creek Elementary School! Home of the Bobcats! We are excited for you to be a part of our school. We proudly serve our community by educating our most valuable asset--our students. We currently have 650 students enrolled in Pre-K through 5th grade. We are also home to one class of HeadStart. 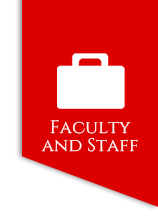 We currently have 88 members of our faculty. Our teachers and support staff work diligently to provide multiple opportunities to engage our learners daily in investigating and exploring through hands-on experiences. We strive to nurture the leader in all our students. Our vision for our students is to L.E.A.D. (Learn. Encourage. Achieve. Dream.) . We want to be a place "Where Leaders are Mentored, Motivated and Equipped to Succeed." Sugar Creek was established in 2017. Our school is a merger of Owens Elementary and West Limestone Elementary. We are thankful for our new state of the art facility and hope to make our school one of the best! Please help us! Join our PTO and get involved! Our PTO meets every 2nd Tuesday of each month at 6pm in the cafeteria. Come join the Bobcats for an incredible journey!